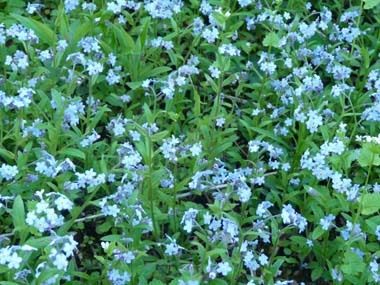 Forget-me-not is usually an annual or biennial herb with its success being based on its flexibility. The seeds can lay dormant in the soil until they deem it is a suitable time to sprout for up to thirty years and germinate when conditions become favourable. Forget-me-not’s flowers are pollinated by small flies and hymenopterans, and if needs be the plant can also self-pollinate to ensure its seed production. It is in the Boraginaceae (borage) family. 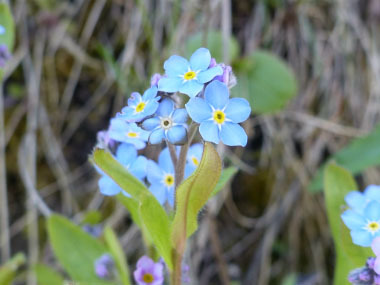 Distinguishing Features: Forget-me-not flowers are diminutive, delicate and primarily blue in colour. While some flowers are pink and white, these are not as common as blue. They are a common sight in springtime and they tend to grow in "mats". Flowers: Flowers are 3 to 4 mm wide. Corolla blue, fused, funnel-shaped, 5-lobed, protuberances in throat of tube. 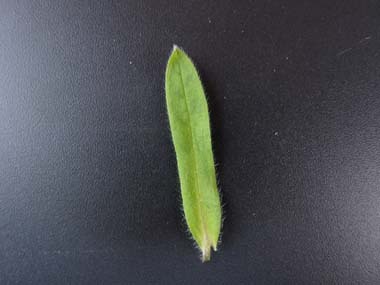 Calyx is fused, bell-shaped, lobes narrow; and there are hairs at base. 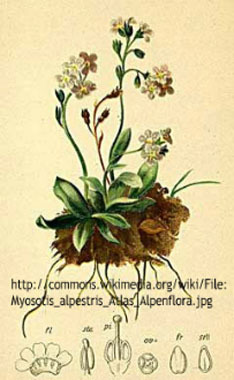 Forget-me-nots have five stamens, and the filaments fused with calyx-tube. Fields of Nutrition has medicinal benefits and vitamin/mineral content of Forget Me Not. Leaves: The leaves are basal, stalked, and stalk widely winged. Stem leaves are alternate and stalkless. 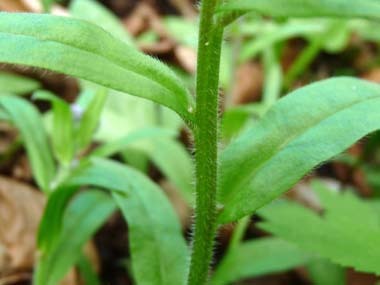 Leaf blade is lanceolate, with entire margin, and both sides are hairy. 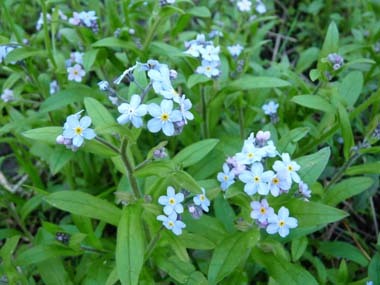 Height: Forget-me-nots can grow anywhere between 10 and 40 cm. in height. The stem ascends and is erect, usually branched, round, slightly angular, hair usually growing upwards flush with stem. Habitat: Fields, gardens, waste ground, meadows, and rocky outcrops. Although they are most common in the northern hemisphere they also are found in New Zealand. 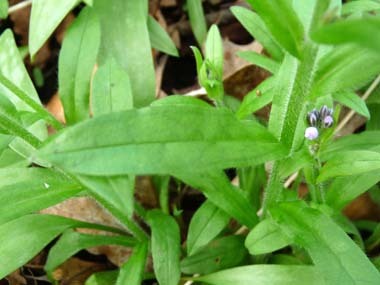 Edible parts: The flowers are the edible part to this plant. Eat them as a trail snack or use them to decorate cupcakes, toss them in a salad or as a garnish on your dinner plate. Other name: Common Forget Me Not.